Lake Mead National Recreation Area is a U.S. National Recreation Area located in southeastern Nevada and northwestern Arizona. Operated by the National Park Service, Lake Mead NRA follows the Colorado River corridor from the westernmost boundary of Grand Canyon National Park to just north of the cities of Laughlin, Nevada and Bullhead City, Arizona. 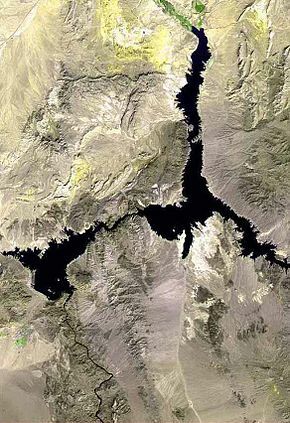 It includes all of the eponymous Lake Mead as well as the smaller Lake Mohave – reservoirs on the river created by Hoover Dam and Davis Dam, respectively – and the surrounding desert terrain and wilderness. 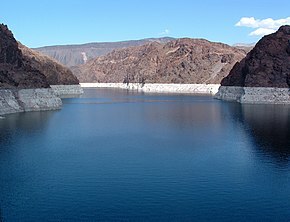 Formation of Lake Mead began in 1935, less than a year before Hoover Dam was completed. The area surrounding Lake Mead was established as the Boulder Dam Recreation Area in 1936. In 1964, the area was expanded to include Lake Mohave and its surrounding area and became the first National Recreation Area to be designated as such by the U.S. Congress. Lake Mead NRA features water recreation, including boating, swimming, and fishing, on both lakes as well as the stretches of river between the lakes. It also features hiking trails and views of the surrounding desert landscape. Three of the four desert ecosystems found in the United States — the Mojave Desert, the Great Basin Desert, and the Sonoran Desert — meet in Lake Mead NRA. Tours of Hoover Dam – administered by the U.S. Bureau of Reclamation – are also a major attraction within the recreation area. About 200,000 acres (81,000 ha) of the recreation area are managed separately under the Grand Canyon-Parashant National Monument, established in 2000. Water covers about 186,000 acres (75,000 ha) of the recreation area. For 2012, with 6.3 million recreational visits, Lake Mead National Recreation Area was the 5th most visited national park. ^ "Listing of acreage as of December 31, 2011". Land Resource Division, National Park Service. Retrieved December 14, 2012. ^ "Listing of National Park System Areas by State". National Park Service. ^ "NPS Annual Recreation Visits Report". National Park Service. Retrieved March 12, 2019. ^ a b Crossley, John. "Lake Mead National Recreation Area". The American Southwest. Retrieved 2013-11-15. ^ "Lake Mead National Recreation Area: Historic Timeline". National Park Service. Retrieved 2013-11-15. ^ a b c d e "Press Kit: About Lake Mead National Recreation Area" (PDF). National Park Service. Retrieved 2013-11-15. ^ Glionna, John M. (August 27, 2015). "Enduring heat and history, hikers learn their place -- far behind the ghosts of Hoover Dam". Los Angeles Times. ^ "Hoover Tour Information". Bureau of Reclamation. Retrieved 2013-11-15. ^ "National Monument detail table as of April 2012" (PDF). Bureau of Land Management. Retrieved 2013-11-15. ^ Barnes, John. "Inventory and Monitoring of Aquatic Bird Species on Lakes Mead and Mohave 2004-2006". Digital [email protected]. Retrieved 2013-11-15. 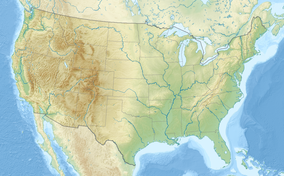 ^ "Wilderness Areas in the National Park System". Wilderness.net. Retrieved 2013-11-15. Wikimedia Commons has media related to Lake Mead National Recreation Area. Wikivoyage has a travel guide for Lake Mead National Recreation Area.